'Boaty McBoatface' Won the Poll to Name This $300M Research Ship. By a Lot. The "RRS Boaty McBoatface" just took a big step closer to becoming a reality. Really. 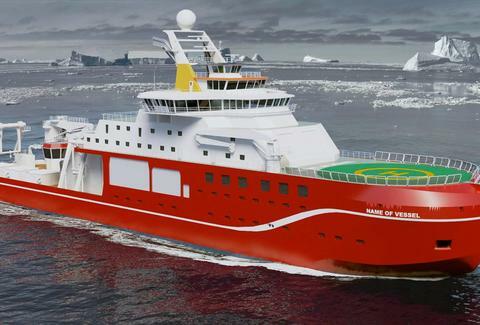 Great Britain's Natural Environment Research Council (NERC) said its public poll to name the $300 million arctic research vessel finally closed Saturday night, and as you probably expected, the name "RRS Boaty McBoatface" far and away received the most votes. In fact, the hilariously stupid ship title won more than 124,000 votes, or almost four times that of a more serious suggestion, the RRS Poppy-Mai, which is named after a 16-month-old girl with incurable cancer and took second place, according to a report by The Guardian. Rounding out the top five were "RRS Henry Worsley" with 15,231 votes, "RRS It’s Bloody Cold Here" with 10,679, and "RRS David Attenborough" with 10,284. Personally, we were hoping for "RRS Big Metal Floaty Thingy-Thing," which ended up with only 3,900 votes. Although "Boaty McBoatface" dominated the poll, it's unclear if the agency will actually embrace the public's choice or go with a more, uh, credible name for the state-of-the-art ship. The final -- and likely difficult -- decision will be made by Duncan Wingham, chief executive of NERC, sometime in the near future, per the report. You know what to do, Mr. Wingham. But who knows? Maybe the ship will bear the humorous name when it makes it maiden voyage to Antartica sometime in 2019. Tony Merevick is Cities News Editor at Thrillist and thinks it's probably better than anything he could come up with for a ship name. Send news tips to news@thrillist.com and follow him on Twitter @tonymerevick.